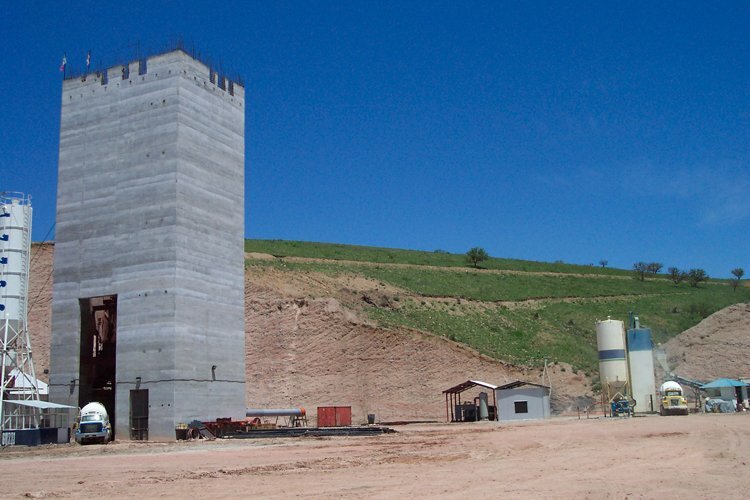 The Milpillas Shaft Project was awarded to Cementation by Penoles in late 2002. The Milpillas operation is located in Northern Mexico. The shaft is a 7.1 m diameter concrete lined circular shaft which was sunk to a final depth of 560 m. The scope of work included shaft sinking, some engineering, and off shaft excavations including shaft stations and a crusher station. Cementation employed Canadian shaft sinking technology in combination with training of local miners to make for a successful project in terms of safety and productivity.